In May 2003 President George W. Bush appointed Paul Bremer as presidential envoy to Iraq. 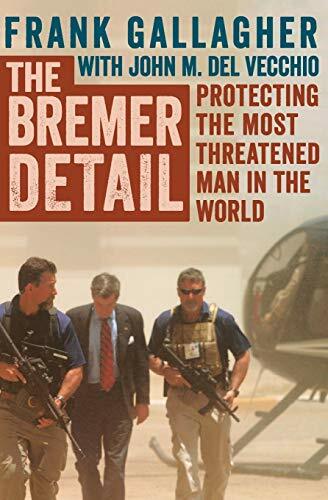 Bremer banned the Ba’ath party and dismantled the Iraqi army, which made him the prime target for dozens of insurgent and terrorist groups. Assigned to protect him during his grueling sixteen-hour days were Blackwater security expert Frank Gallagher and a team of former Marines, SEALs, and other defense professionals. When they arrived, Baghdad was set to explode. As the insurgency gathered strength Bremer and the men who guarded him faced death daily. They were not in the military, but Gallagher and his team were on the front lines of the Iraq War. This fascinating memoir takes the reader deep behind the scenes of a highly dangerous profession. This edition includes ten pages of action photos from the author’s time in Baghdad.